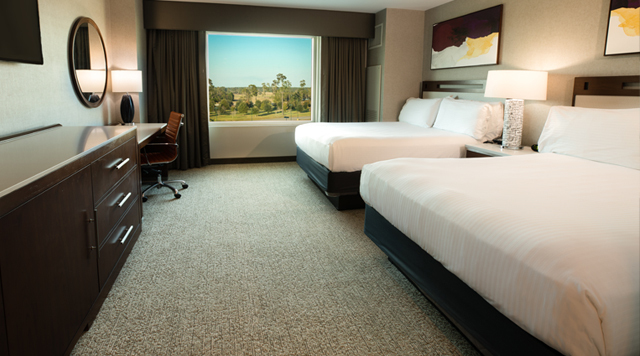 Stay in comfort in one of our elegantly appointed hotel rooms. 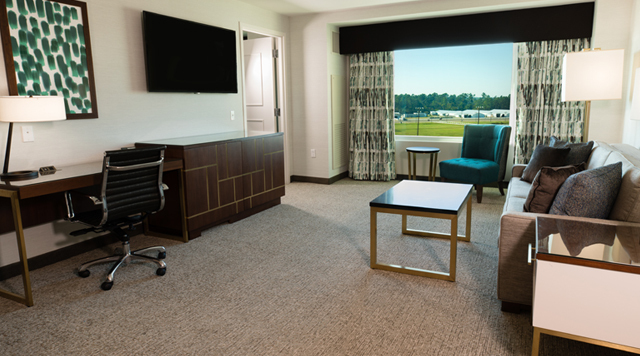 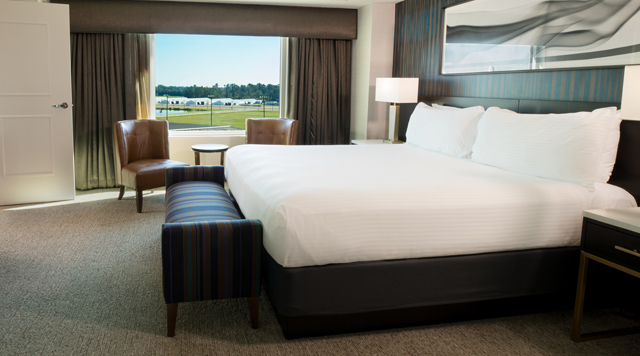 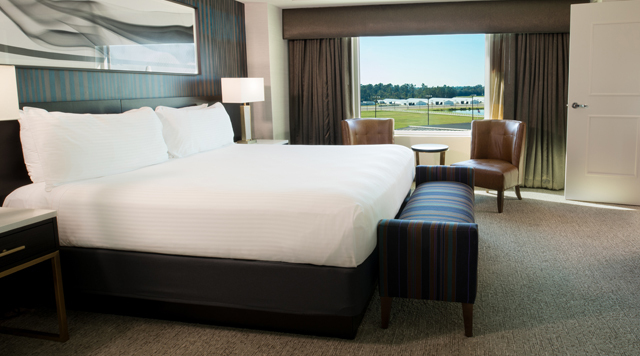 Whether you choose a deluxe or premium room, you'll find all the comforts of home here at Delta Downs. 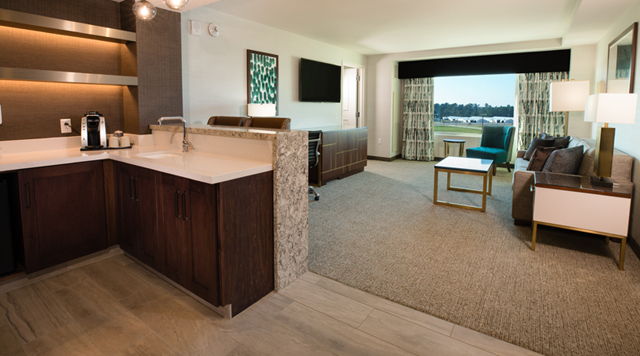 Some of our amenities include a coffee maker with coffee and condiments, a 40" flat screen TV, refrigerator, and spacious closet with an in-room safe.